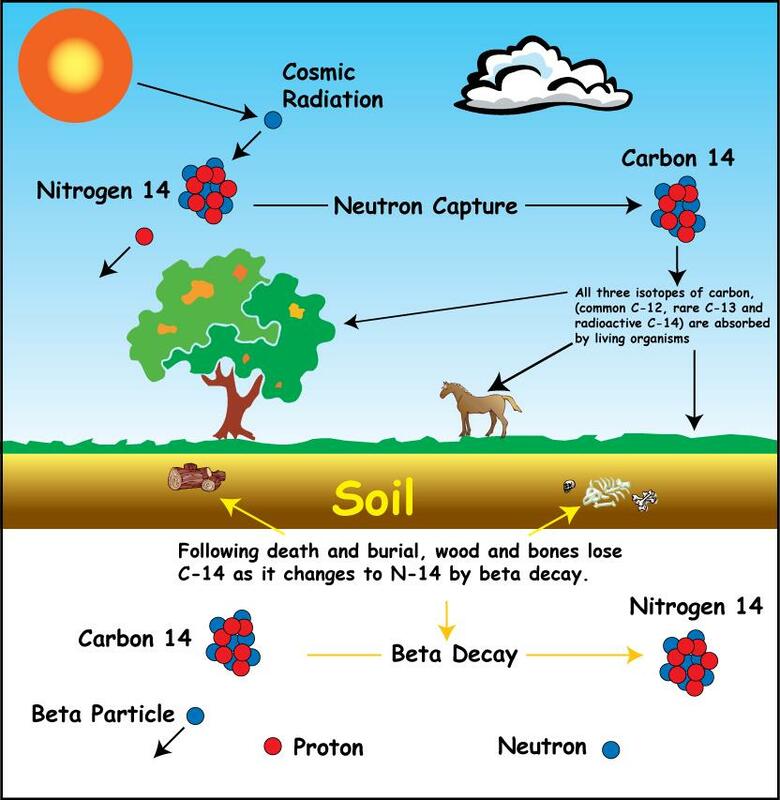 But how many Christians know that Carbon-14 dating actually has been used to confirm the Bible? Let me describe a few examples. In 2003, scientists were able to use Carbon-14 dating to accurately date a tunnel running underneath Jerusalem to redirect the supply of water. According to 2 Kings 20:20, King Hezekiah built a water supply tunnel, when the city was under siege, around the year 700 B.C. The Carbon-14 dating tests, performed on the wood used to make the plaster for the tunnel, gave results that perfectly match the Biblical record. Here is another example of the value of Carbon-14 dating: In an amazing discovery in the 20th century, scientists were able to discover the age of the famous Dead Sea Scrolls. The Scrolls are a set of ancient documents, including a large part of the Old Testament, that were recovered from clay jars, preserved for centuries in the caves at Qumran, most probably by a now lost Jewish sect, the Essenes. Why is the dating of the Dead Sea Scrolls so important? First, it serves as evidence for the antiquity and integrity of the Old Testament. Prior to the Dead Sea Scroll discovery, the oldest substantial Hebrew manuscripts of the Old Testament only went back to about the year 920 C.E., with the Aleppo Codex. The Dead Sea Scrolls pushed back that “oldest” date a full 1,000 years, before the birth of Jesus! Not only that, but the Dead Sea Scrolls also gives us crucial information as to the Jewish context, from which would eventually give birth to the early Christian movement, led by Jesus of Nazareth. Now, that is pretty cool. Thanks to Carbon-14 dating, Christians can have increased confidence that the Bible has historical credibility. In other words, Carbon-14 dating provides us yet another set of data points to further confirm that the Biblical writers were not “making up” the story of God, Israel, and Jesus. Most of you will probably not need to read any further, as this brief explanation of the benefits of radiometric dating, with respect to Christian truth, should be compelling. But if you still want to push back, you might want to read on…. What If You Are Still Skeptical About Radiometric Dating? Skeptics of radiometric dating contend that the reliability of radiometric dating depends upon certain assumptions being valid. Concerns about such assumptions do raise some important questions. For example, if the sample size is too small, or contaminated, then the radiometric dating technique will probably give skewed results. So, are the assumptions used by most scientists today reasonable? In general practice, scientists understand these anomalies and do their best to account for them in their measurements. Otherwise, why would they be using such a tool, if they knew that the tool was inherently flawed or misapplied? That would be like using a stapler to drive in a nail, when what you need is a hammer. Furthermore, just because your hammer missed the nail a few times, does not necessarily mean that you throw away your good hammer! However, a more general problem concerns whether or not observations made in the present can actually help us know the past. In particular, one critical assumption is that the radiometric decay rates, of different substances, have remained constant over time. For the past seventy years, since radiometric dating has been in use, the decay rates, of various substances, have proven themselves to be very reliable. Using the time-honored principle of the present is the key to the past, advocates of radiometric dating have used this tool to demonstrate the great antiquity of the earth. Yet some have argued that decay rates have indeed changed throughout history, in an effort to suggest that the scientific consensus for a 4.5 billion year old earth can not be trusted. Instead, we should be thinking about a 6,000 year old earth, which would be consistent with some interpretations of the Bible, that rely on a literal, six 24-hour day view of Genesis 1, for the creation of the world. In principle, advocates of this type of skepticism might be right. Variable decay rates might explain a young, as opposed, to an old earth. It is within the realm of possibility (though most of my scientist friends tell me that this is a very remote possibility). But there is a serious problem with this type of skepticism: We currently have no compelling evidence to support the assertion that radiometric decay rates have changed over time to support the Young Earth hypothesis. Scientists have tried various methods to see if decay rates can be altered, including high pressure, radical temperature changes, etc., but the results have been negligible. Still, the decay rates for various substances remain essentially constant. So until contrary evidence becomes available, the scientific consensus regarding the reliability of radiometric dating remains in good standing. One particular critic of orthodox Christianity, Robert Eisenman, contends that the Carbon-14 dating method used to date the Dead Sea Scrolls was flawed (dig into the comments section of this previous Veracity post, to see what I am talking about). To Eisenman, radiometric dating can only give us dates relative to the testing of other samples, and not absolute dates for those samples. This is the same type of argument used by Christian critics of radiometric dating! 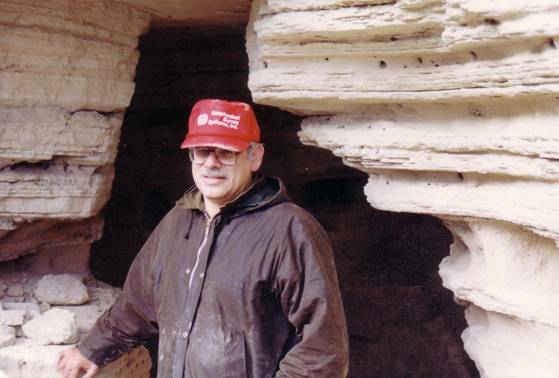 Robert Eisenman, at Cave 4 at Qumran, where the Dead Sea Scrolls were found. Eisenman’s sophisticated, yet ultimately, wacky theory all depends on distrusting the reliability of radiometric dating. Eisenman believes that the Dead Scrolls were actually written after the period of Jesus of Nazareth’s earthly appearance. Eisenman’s ideas are based on the assumption that the Jewish community at Qumran, was really connected to the early Christians, and that a competing group of early Christians effectively “made up” a good amount of the New Testament. If you follow Eisenman’s complex argument, you can come up with an idea that explains away a great deal of the New Testament. Eisenman’s punch line? Well, James the brother of Jesus, was the real successor to promote Jesus’ teachings (if Jesus even existed), and the Apostle Paul was the great fabricator of what we call “Christianity” today….. Pretty ingenious, but it is an idea that every orthodox Christian I know would completely reject. If the Dead Sea Scrolls were written during the New Testament era, as Eisenman proposes, it would undercut the current scholarly consensus that the New Testament was built upon a particular Jewish context, that had been well-established for several centuries before Christ. Perhaps you have never heard of Robert Eisenman before, but you probably have heard of Dan Brown, the well-known author of the blockbuster “novel” The Da Vinci Code. Eisenman’s conclusions differ from Brown’s own conspiracy theory, but their beliefs are both predicated on the same false assumption, namely that the Dead Sea Scrolls were largely the product of the early Christian movement. Eisenman’s logic is conspiracy-theory through and through, all made possible by a failure to appreciate the reliability of Carbon-14 radiometric dating. I get why some Christians get really leery about radiometric dating, but here is my point: If Christians feel compelled to use the same type of apologetic arguments, against radiometric dating, in support of the Bible, that non-believers use to discredit the Bible, have we really gained anything? You “save” a traditional reading of the Genesis creation story, but you risk undermining the antiquity and credibility of the very text, from which we get the Genesis narrative. Radiometric dating is not flawless, but it has actually been demonstrated to be a friend of the faith. If you stick with the reliability of radiometric dating, it will actually inform your faith in a positive way. If you dismiss radiometric dating, you open yourself up to all sorts of problems that only complicate one’s confidence in the Bible. See this previous Veracity blog post from two yeas ago, and another post from a few more years ago, for more on radiometric dating, and why distrusting its reliability can be problematic for the Christian. This entry was posted on Saturday, February 9th, 2019 at 8:00 am	and tagged with Creationism, radiometric dating, Young-Earth Creationism and posted in Apologetics. You can follow any responses to this entry through the RSS 2.0 feed. 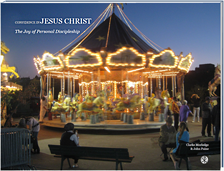 « Elisha, She-Bears, and the Cursing of Children?